Yashish is using Smore newsletters to spread the word online. Through the time currently spent attending this course, I have learnt about various different concepts and have created many unique circuits that serve different functions. Building these circuits not only increased my knowledge on electricity and circuits, but they were also very entertaining and amusing to build, even though some were somewhat of a challenge. This reflection demonstrates what I have currently done, learnt and enjoyed through my experiences with circuit building for the current duration of this course; it also explains what I might change if I had to repeat this project again. Throughout the current duration of this course, I have built various different circuits that serve different functions by using unique components such as capacitors or transistors. The first circuit that I had built was a Logic Probe Circuit, which was a circuit that allowed me to check the logic levels of inputs and outputs and involved the use of transistors. Then I had built a 555 Timer Circuit using a 555 Timer IC, two red LEDs, capacitors and other components. This circuit was basically made to allow the two red LEDs to flash on and off alternately, at a speed depending on the type of capacitor and resistors used. Later, during a Transistors Gates Lab, I had built four different transistor circuits, which were basically made to turn an LED on or off depending on the input used, each of the four circuits had different outputs based on their inputs and none of the circuits had identical outcomes. As a way of learning, I had also built an LED Chaser Circuit which involved the use of LEDs, capacitors and transistors. This circuit allowed all the LEDs in the circuit to flash on and off in a pattern, each LED would flash one after the other, similar to the 555 Timer Circuit but with more LEDs. All of the circuits were very entertaining to build even though some were somewhat difficult to create such as the Logic Probe Circuit. Besides learning about general concepts such as basic electricity, Ohm's Law and Binary, while building circuits I learned about various other concepts including the many parts that can be used in a circuit. I was also able to expand my knowledge on Series and Parallel Circuits because I was able to practice building them on a breadboard. While building circuits, I increased my knowledge on how to wire because I was able to practice stripping wires correctly and safely with the proper tools and correct measurements. 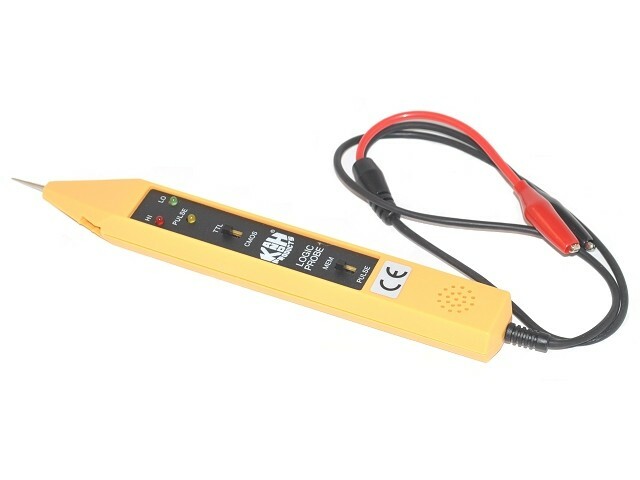 Until now, I have also learned about many different components that can be included in a circuit such as batteries, diodes, capacitors, resistors, LEDs and transistors. I not only learned about the physical appearance of these various components but I also learned about their symbol in a schematic and their function(s) in a circuit. I have also learned how breadboards are used to test and build circuits and that electricity flows in different ways within the different sections of the breadboard. While building circuits, I was also able to learn more detailed information on specific components such as resistors and transistors. 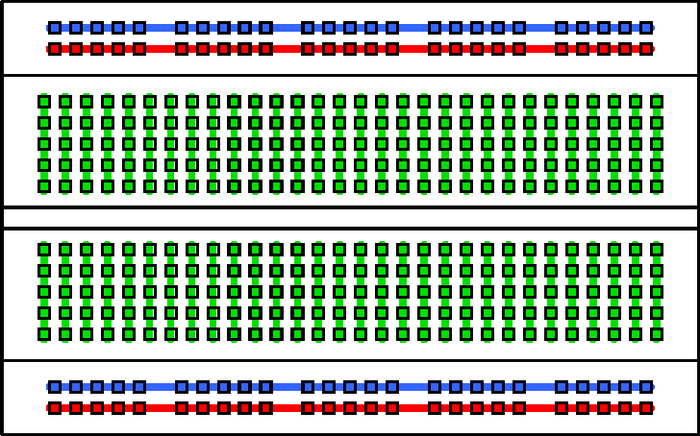 Since many of the circuits I built required different resistors, they helped me learn and practice how to determine the correct value of resistance a resistor has by looking at the colour of it's bands. I also learned a lot about transistors because they were key components in the various circuits I had built such as the Logic Probe Circuit. 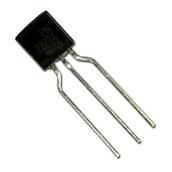 I not only learned about how the transistor was invented in 1947 by William Shockley, Walter Brattain and John Bardeen, but I also learned about the basic purposes of transistors, their physical representation, their different pins (Emitter, Base and Collector) and the different types of transistors such as the NPN and PNP types. Building the Logic Probe Circuit helped me learn about how logic probes are test instruments used extensively in digital electronics, to check the logic levels (0v/5v, Low/High, Off/On) of inputs and outputs. I also learned that Logic Probes can be built as circuits on a breadboard to troubleshoot and check other circuits. The 555 Timer Circuit helped me learn more about capacitors and how they can be used to change the speed of alternately flashing LEDs. Finally, the Transistor Lab circuits not only helped me learn more about transistors but they taught me that having more inputs in a circuit increases the number of outcomes that the circuit can have and that the formula 2 to the power of the number of inputs in a circuit can be used to determine the number of possible outcomes that the circuit can have. 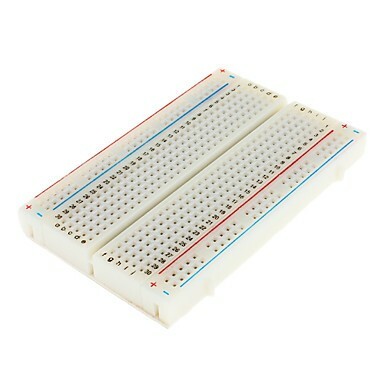 An image of how the metal contacts are arranged inside a breadboard. 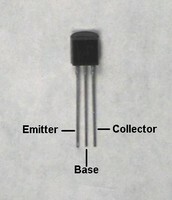 A labelled image of the pins of a NPN transistor. 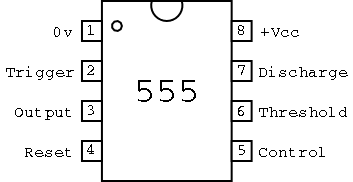 An image of the pin configuration of the 555 Timer IC. I have enjoyed every concept I have learnt until now but I enjoyed building the Logic Probe and 555 Timer Circuits the most. I found the Logic Probe Circuit very entertaining to build because it was not only the first circuit I built from a schematic, but it required various different components and since it was somewhat difficult to create, I found it more enjoyable than other concepts. 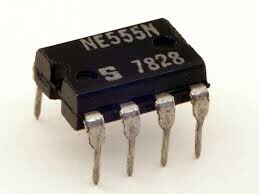 While the 555 Timer Circuit was not as difficult to create as the Logic Probe Circuit, I found it just as engaging. I enjoyed building the 555 Timer Circuit because it required parts that I had not used before such as capacitors and the 555 Timer IC so I found it more amusing and educational to create than some of the other circuits. All the circuits I had currently built were very entertaining and educational to create, and I had enjoyed every concept I have learnt until now. Although, I enjoyed the Transistor Lab circuits the least because I personally felt that they were somewhat repetitive. In my opinion, if they involved the use of more components the circuits would have been more interesting to create but the lab was still very educational. If I had to repeat the project over from the beginning, I would change the amount of space my circuits take up on my breadboard because after building a few circuits, it grew difficult to add more circuits to the breadboard, so it would have been much easier for me if I had reduced the size of my circuits from the beginning.